Good Geranium Care is vital for long-lasting summer color of this popular bedding plant. 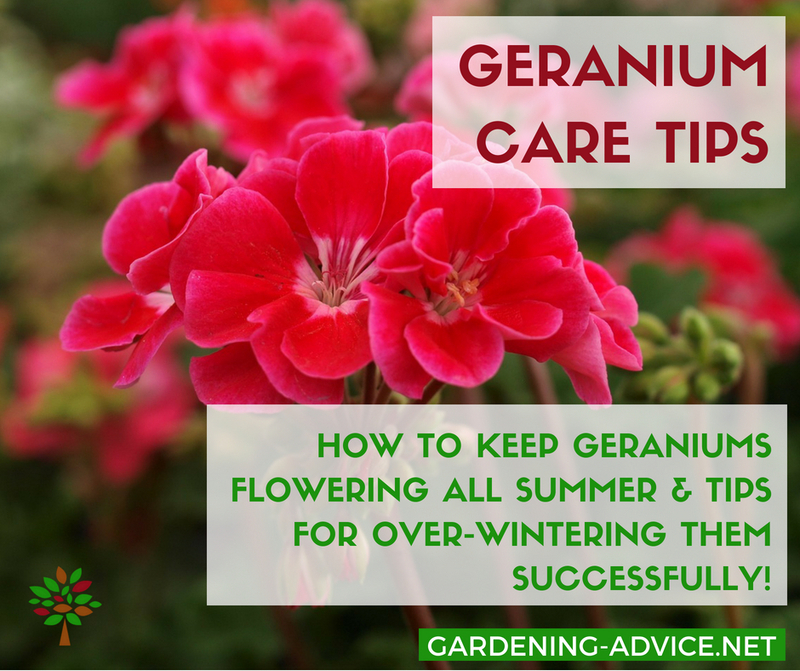 Here are some gardening tips on how to care for Geraniums so that they will flower all summer long. 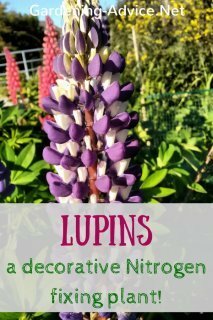 These flowering plants can be grown outdoors in containers or flower beds or indoors all year round. Combine them with other annuals like Lobelias, Bacopa, Millionbells or pansies for a great summer display. Geraniums (bot. Pelargoniums) are the most popular bedding plant I know. They give color throughout the summer months to our patios, balconies and flower beds. The many different varieties available nowadays makes them a great choice for your pots and containers, hanging baskets, window-boxes or flower beds. Pelargoniums are available in many colors from white to red, shades of pink and purple or salmon. The flowers can be single or double. Just keep in mind that the double flowers don't cope with rain as well as the single ones do. 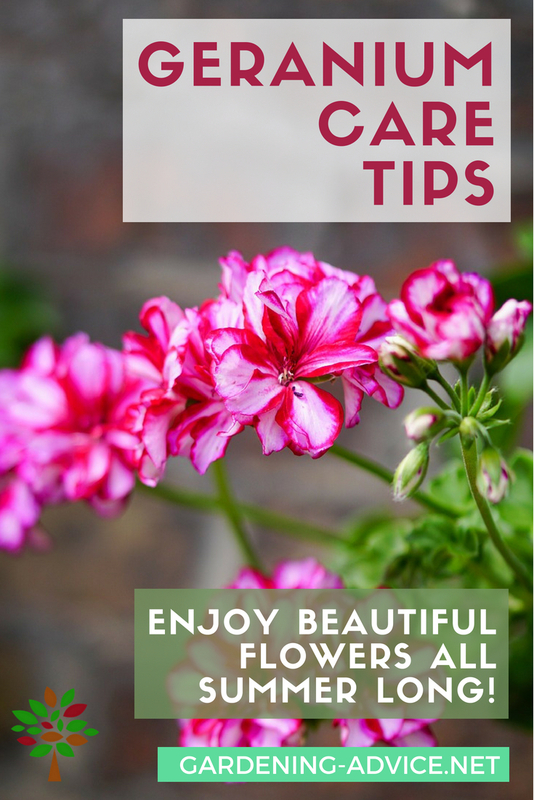 You have the choice between different types of geraniums: the trailing ones also called ivy-leaf Geraniums or the upright varieties referred to as Zonal Geraniums. 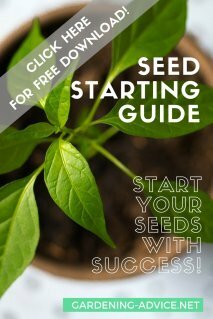 You can grow them outdoors or indoors in conservatories or on sunny window-sills. Geranium care is not rocket science. Like all other plants they need regular watering and feeding. 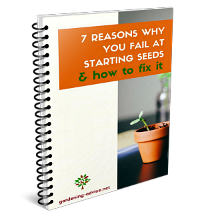 Avoid over-watering and keeping the rootball too wet as this can cause root-rot. Use a good quality fertilizer once a week. 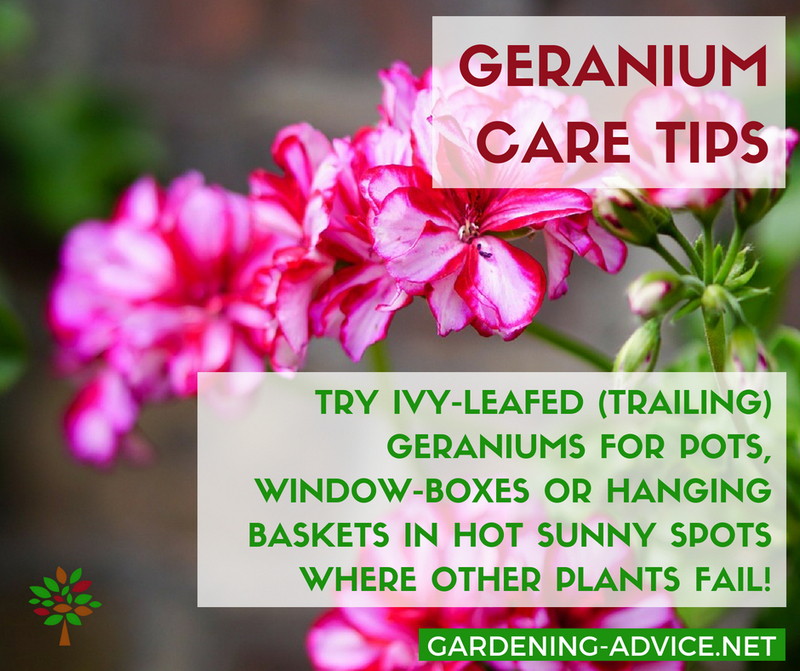 Choose a sunny spot for Geranium plants. They like to be in the sun for most of the day. In a shaded spot they won't produce many flowers and they tend to become leggy. 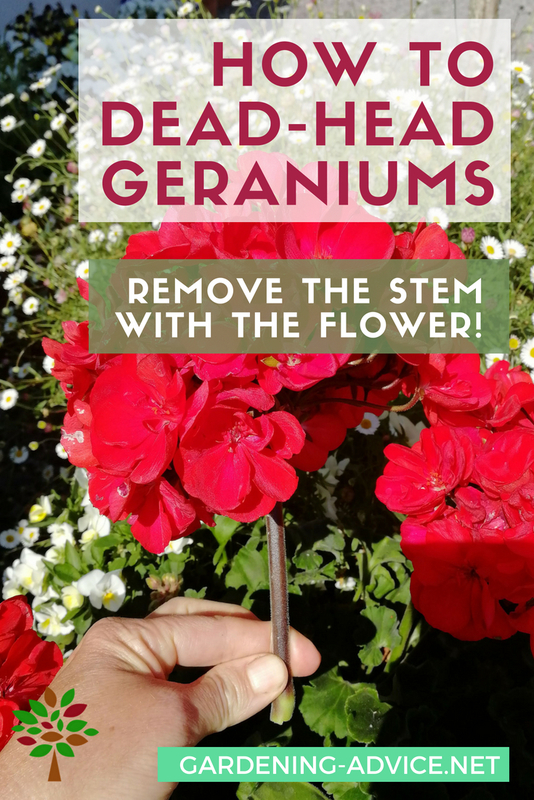 Deadheading Geraniums is important to keep them looking their best and flowering over a long period. It also helps to avoid fungal diseases like Botrytis, particularly in damp weather. Rainy weather can turn the flowers into unsightly mush! If they are not dead-headed the whole plants can get affected by fungal disease. A lot of people make the mistake of only removing the actual flower. This way you will end up with an ugly yellowing stem which can cause fungal diseases to get hold. Instead remove the stalk of the flower as well. It is usually a couple of inches long. Break them off where they attach to the plant. They snap off easily so there is no need to use scissors or knifes. Bedding Geraniums are great container plants. The upright Geraniums can be used as a center piece for a larger container. They combine very well with trailing annual flowers like Lobelia, Bacopa, Millionbells (Callibrachoa), Bidens or Verbenas. 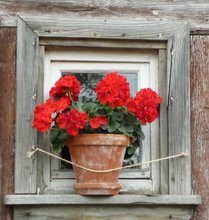 The trailing geraniums (ivy leaf) can be grown in hanging baskets, window-boxes or tall urns. Three plants are enough for a 13 inch basket or pot. You can use a few filler plants like Lobelia, Viola or Alyssum with them. And don't forget: regular feeding and watering is a must if you want a great looking summer display! For overwintering you need a glasshouse or a cooler but bright room. They need to be overwintered frost-free. The ideal temperature is between 41-47°F/5-8°C. 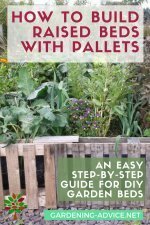 Keep the plants drier during the winter months. 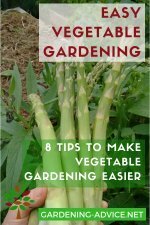 If they are kept too damp during the winter they will start rotting and you will loose the plants. In the spring cut the plants back by about half. This material can be used for propagating geraniums. 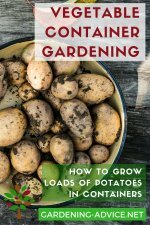 Take cuttings and insert them into potting compost. 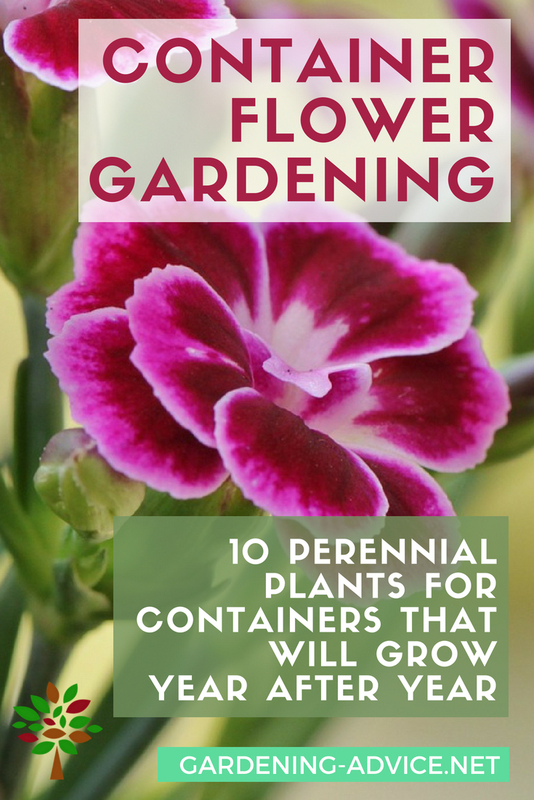 Transplant them to individual containers once they have taken root. Re-pot the overwintered plants in new potting soil in the spring and start feeding and watering again. Greenflies can become a problem. An organic pest spray will take care of them. An organic fungicide will help to protect your plants from fungal diseases which should only occur in damp weather conditions or if it is too cold. Pelargoniums are great plants for hot window-sill or conservatories. In these hot spots you often have trouble growing other house plants because they burn from the sun. Geraniums though tolerate that well and they flower! 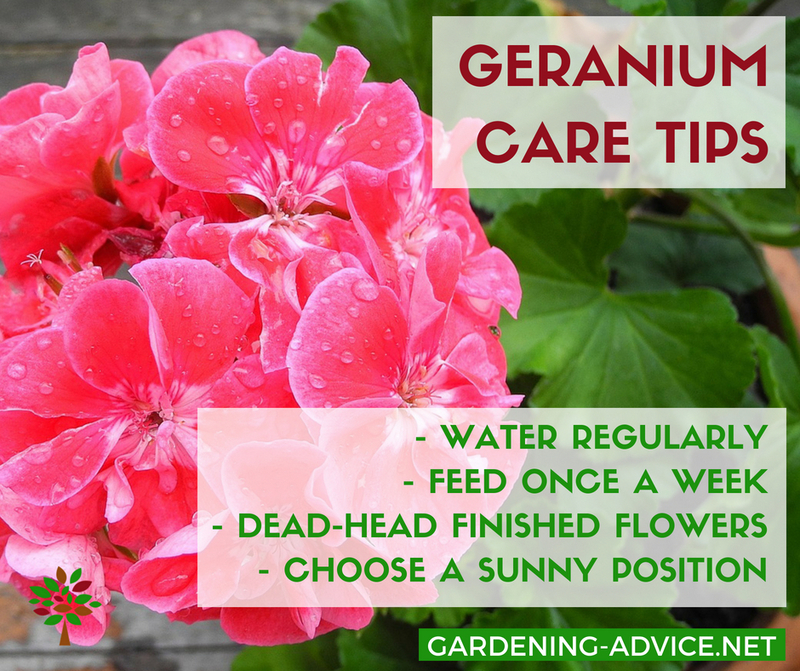 Geranium care and maintenance is the same as above. Just keep in mind that the plants might require a lot of watering if they are placed on a hot window ledge. Transplant them into a larger container. 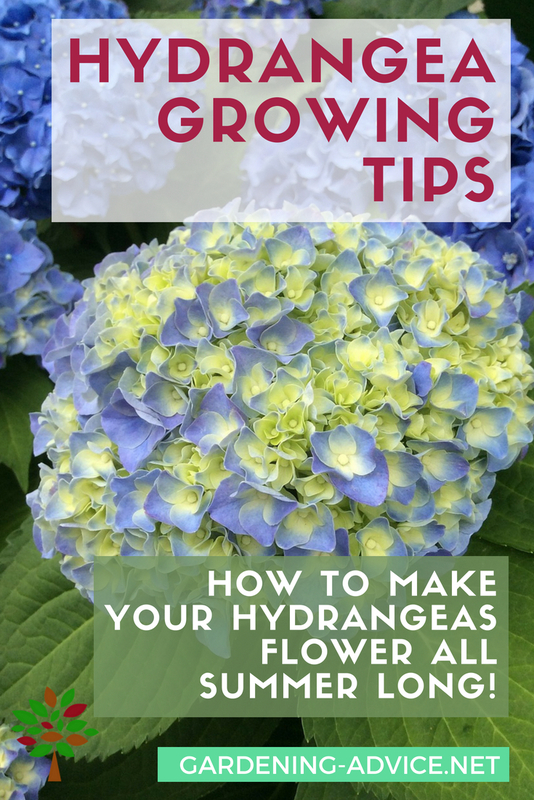 This will make keeping them watered easier and they will produce more flowers over a longer period.